Our firm knows the ins and outs of family law and can help you secure a fast and easy solution. We know just how important it is for you to maintain custody of your children. Let us help. Let us help you provide for your children by seeking a fair and reasonable child support agreement. In addition to protecting your family during a divorce, we offer premier legal services in other areas of law. At Mancini & Associates, LLC, we understand that any time a family law concern arises, individuals can feel overwhelmed and confused about what their future may hold. Family law can be difficult to understand, and without the representation of an attorney, you may be facing complicated legal issues, complex laws and regulations, and a challenging battle. Call Mancini & Associates, LLC for the personalized representation you need. We are unlike any other firm that you may work with because we take the time to get to know our clients, their situations, and their unique family dynamics. Our firm understands the need for aggressive representation and trusted counsel throughout the course of your case, and we can work to keep you informed and up to date with all your legal happenings. When you retain the representation of our team, you can work directly with the lawyer who is handling your case. We can work diligently to ensure that you are confident in our ability to fully represent you and your family. 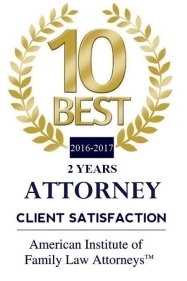 You can rest assured that your case is in good hands when you work with Mancini & Associates, LLC! Contact Us for Legal Counsel! 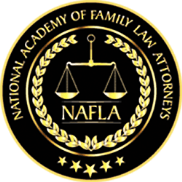 It is important that you take the time to work with an attorney as soon as possible if you are facing a family law issue. At Mancini & Associates, LLC, we understand that time may be of the essence, so we take every action possible to ensure that your rights are protected as a parent and an individual and that your child's best interests are given priority throughout your legal proceedings. Divorce and family law cases can be emotionally trying, but when you work with Mancini & Associates, LLC, you can be sure that your case is in good hands. Contact a Hartford family law attorney from our firm today to schedule a consultation to get started on moving forward with your life!